Are you ready for quality root cause analysis of a precursor incident? Many companies use TapRooT® to investigate major accidents. But investigating a major accident is like closing the barn door after the horse has bolted. What should you be doing? Quality investigations of incidents that could have been major accidents. We call these precursor incidents. They could have been major accidents if something else had gone wrong, another safeguard had failed, or you were “unlucky” that day. How do you do a quality investigation of a precursor incident? TapRooT® of course! See the Using the Essential TapRooT® Techniques to Investigate Low-to-Medium Risk Incidents book. 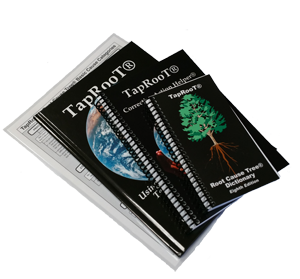 Or attend one of our TapRooT® Root Cause Analysis Courses.